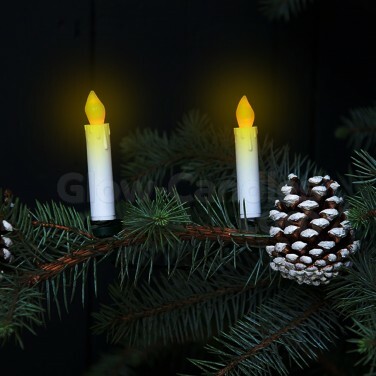 Decorate your Christmas tree and festive displays with LED tree candles for beautiful traditional looks without the risk of flames. 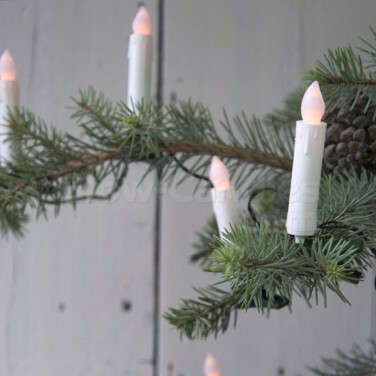 Light Christmas trees and festive displays in a more traditional way with flickering tree candles.  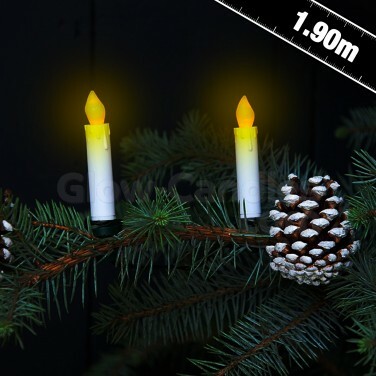 Ten 7cm tall candles are lit with flickering LEDs and are daisy chained together as string lights allowing you to place them easily in Chrsitmas trees and and each candle has a crocodile clip base for easy placement securing them in an upright position. 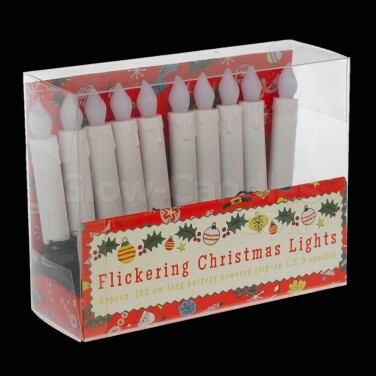 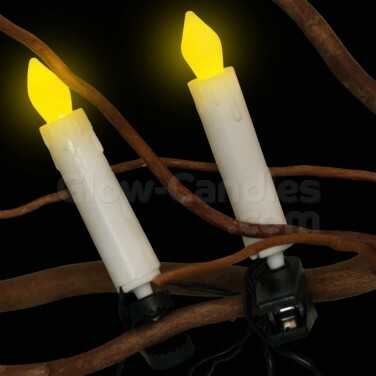 Battery operated, these flexible LED tree candles allow you to decorate for Christmas in a traditional style using candles instead of fairy lights without the risk of flames.